PLAINFIELD, Ind. 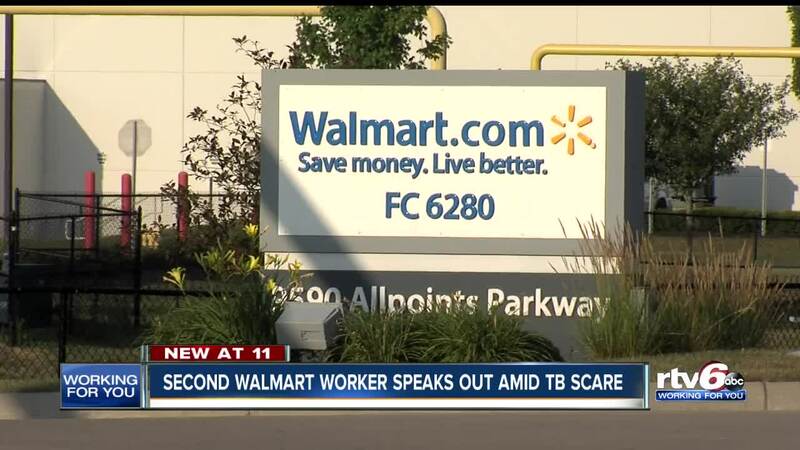 -- Two weeks after a Walmart warehouse worker came forward to claim she was exposed to tuberculosis at work, a second employee has made similar claims. The health department told some employees they had been exposed to somebody with active tuberculosis at the Walmart Fulfillment Center 6280 between July 2017 and May 2018. 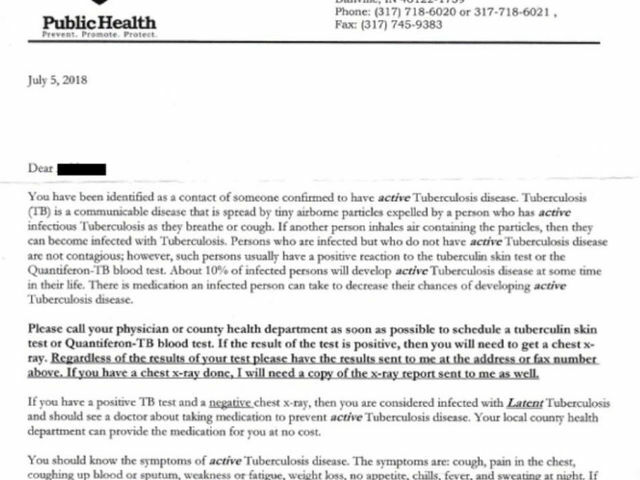 The second employee, who asked not to be identified, recently got his test results back -- he was negative for active tuberculosis, but is asking why he didn't know to get tested sooner. "We had somebody in the building for almost an entire year that was actively infected," he said. "And then two months prior they were notified by the health department. At that point they should've notified us." The first employee said she received a letter from the health department, saying she was exposed to tuberculosis at work -- but she never heard anything from her employer. "I expect safety," the woman, who also asked not to be identified for fear of losing her job, said earlier this month. "Everyone expects to be safe and to go home the same way they come in. And I know that my coworkers expect that." She also said she knows of at least a dozen co-workers flagged by local health departments. Walmart has released a new statement on the matter, saying it held educational sessions at the facility for those affected, and gave workers information on free testing. The Marion County Health Department said Walmart is cooperating with the investigation. But the second worker said he wants to know this won't happen again. "I want to know if this comes up again that we're protected," he said. "That they will say, 'OK guys, we have to get this under control. We want to keep you safe.'" According to the Indiana Department of Health, tuberculosis is an airborne disease that is spread when somebody infected sneezes, coughs or talks, and the bacteria are released into the air. People infected with TB do not typically have any symptoms until the infection develops into active TB after a couple weeks.